Join our hand-picked A-Team of world class coaches and diverse athletes like you from across the US and beyond for this one-of-a-kind weekend training event. Both the seasoned, competitive athlete and the weekend warrior with a new year's resolution will take home new skills, perspective and fire to build strength that lasts. You'll learn how your faith can bring renewed purpose to your athletic performance, profession and relationships, and steer you in the direction God desires for your life. Fitness skill sessions will help you build safe, efficient and effective technique in an inspirational and constructive environment with workouts providing additional opportunity for application and guidance. A shirt, wristband, healthy dinner Saturday night, and perspective on how to honor God through your training and life are all included. You'll also have the opportunity to join an event-specific Facebook group where you can continue to be encouraged by fellow participants and coaches long after the event has concluded. 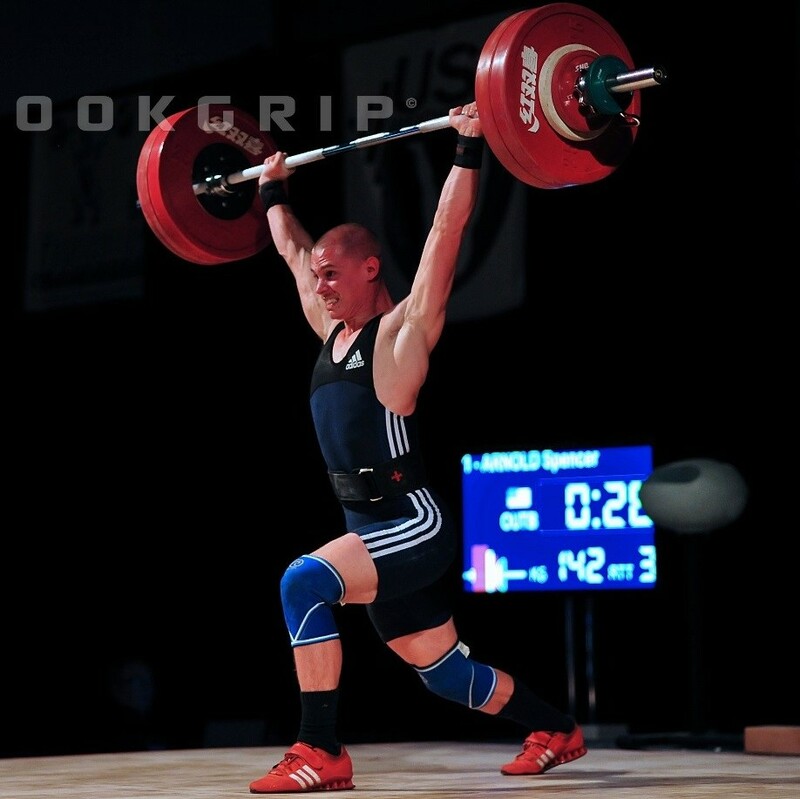 Spencer Arnold: Founder of Power and Grace Performance Coaching, in 2012 he was the 69kg American Open Champion. He holds USAW Sport Performance, Club, and L2 National Coach credentials. Becky Conzelman: National Pro Grid League (NPGL) LA Reign Athlete, 5x CrossFit Games Competitor, 14th in 2012, FAITH RXD Executive Director, 3x US National Cycling Champion, and 2x World Cycling Championship Competitor. She holds CrossFit L1 and USAW Sport Performance coaching credentials. Guido Trinidad: 2012 CrossFit Games Competitor, Co-Founder and Programmer of Wodapalooza Miami Fitness Festival, Owner and Head Coach at Peak 360 CrossFit, Linebacker for the Arlanda Jets and L’Hospitalet Pioners in Barcelona, CF L1, CF Football, CF Gymnastics, CF Endurance, CF Kids, USAW Sports Performance Coach, NESTA Certified Personal Fitness Trainer. Ben Alderman: Multi-year top 10 CrossFit Regionals Competitor, Head Coach and Owner of Iron Mile Fitness, Beyond the Barbell podcast founder and host, inventor of the “Iron Mile” workout (a 1 mile, 275 pound yoke carry with a 3, over-the-yoke, burpee penalty for every drop), CF L1 coach since 2009, experienced MMA fighter, CF Coaches Prep, CF Powerlifting, Kendrick Farris Athlete Camp, the Explosive Seminar. Billy Shelton: transitioned a 13 year career in pharmaceutical sales to full time coaching and Programs Director with FAITH RXD focusing on service, launching new chapters and Games booth presence. CrossFit Hendersonville coach, CrossFit L2. C: Coach Focus: how can faith inform your coaching? Details will be posted here. How often and where do you offer these seminars? We offer ISI seminars two to three times per year at a large CrossFit affiliate. What if I own a box and want to host one? Do I have to be an “elite” athlete, box owner or coach to participate? Not at all! Whatever profession or direction you scale workouts (up or down), you will leave with a better understanding of movement power and efficiency, and a clearer vision of how to carry out your faith in your sphere of influence. No! We welcome and encourage everyone to attend. There will be high level coaching as well as a clear presentation of the Christian gospel and opportunities to grow in your faith and ask questions. How many will be able to attend? Will the host gym have showers? Note: purchased tickets are not refundable but are transferable through coordination with FAITH RXD. Grow in faith & fitness as you train with our world-class coaches and connect with fellow athletes, coaches and box owners! Learn how faith can bring renewed purpose to your athletic performance, profession and relationships, and steer you in the direction God desires for your life. Join our hand-picked A-Team of world class coaches for this one-of-a-kind weekend training camp. Both the seasoned, competitive athlete and the weekend warrior with a new year's resolution will take home new skills, perspective and fire to build strength that lasts. Emily Gillis: If you ask Emily Gillis, life looks better upside down! Emily “E” began gymnastics at the age of 5 and hasn’t left the sport since! She competed at the Univ. of Wisconsin-Whitewater and once her career ended, she began CrossFit in 2012. E is now a 45kg weightlifter and two-time USA Weightlifting National qualifier, CF-L1 Trainer, CrossFit Weightlifting coach, and full-time gymnastics coach. We currently offer our ISI seminars only three times per year at a large CrossFit affiliate in the US or UK. We hope to offer them in more countries in the future. Grow in faith & fitness as you train with our world-class coaches and connect with fellow athletes, coaches and box owners! Learn how your faith can bring renewed purpose to your athletic performance, profession and relationships, and steer you in the direction God desires for your life. Skill sessions expose you to instruction and analysis in all three elements of movement: weightlifting, gymnastics, and monostructural (kettlebells, etc). Reinforce each of the skill types in an inspirational and constructive environment with workouts providing opportunity for application and additional guidance. Up your game as you build safe, efficient and effective technique for a lifetime. A FAITH RXD journal, shirt or tank, wristband, healthy dinner Saturday night, and perspective on how to honor God through your training and life are all part of the experience! You'll also have the opportunity to join an event-specific Facebook group where you can continue to be encouraged by fellow participants and coaches long after the event has concluded! Nathan Bramblett: 4x Regional Competitor. 2015 CrossFit Games Individual Competitor. Husband. Father. We currently offer our ISI seminars only three times per year (once every four months) at a large CrossFit affiliate in the US. We hope to offer them in other countries in the future. Will the host gym have showers with soap? A copy of the Athlete New Testament, Faith Rx'd shirt or tank, wristband, healthy dinner Saturday night, and perspective on how to honor God through your training and life are all part of the experience! You'll also have the opportunity to join an event-specific Facebook group where you can continue to be encouraged by fellow participants and coaches long after the event has concluded! Note: purchased tickets are not refundable but are transferable through coordination with Faith Rx'd. Fairfield Inn and Suites Parsippany , 3535 US Highway 46 East, Parsippany, NJ 07054, (973)263-0095, $99 with tax, link automatically references code “FRXD” for our group discount. Includes free breakfast, wifi and parking!